Michael Sulzinski lll, son of Michael Sulzinski and Pauline Dauksz Grauslis (Grollis) He married Frances Petrosky, daughter of Ludwig Petrosky and Lucy Bojnoski. Michael died from a coal mine accident 10 Dec 1945, he worked for the Glen Allen Coal Company. Frances remarried in 1949 to Joseph Mallo, a retired plymouh borough poice officer. His first wife Catherine passed away in 1937. 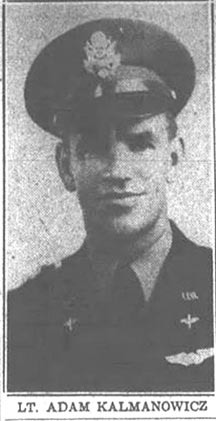 Micahel Sulzinski, 54 of 496 N. Main street, Wilkes-Barre PA, died on 10 Dec 1945 at the Glen Alden Coal company mine at 12:10 pm, Ashley township. Mining accident on the job, fire in the mine. Michael died from Asphyxiation, shock and smoke. Michael was the son of Michael and Frances Sulzinski and husband of Frances Petrosky Sulzinski. Burial: St John The Baptist Cemetery Exeter PA. Informant" Leonard Sulzinski, son. Stanley Sulzinski 63 of 290 Grant,Exeter PA, born 1890 in Poland, he died 26 Mar 1953. Son of Joseph and Pauline Sulzinski. Stanley was married and he died from a embolism, he was also a coal miner. The informant was John Sulzinski. Burial at Dennison Cemetery Kingston PA.
Line 12- Helen, Daug age 8 (1922) Single, Attn school, born in PA, Father-poland, Mother PA.
Line 14- Pauline, Mother age 75 (1855) Widow, attn sch- no, reads and writes -No. Born in Poland, parents born in Poland, speaks polish, immig 1910, Naturalized, speaks english. Line 52- SULZINSKI, Michael age 49 ( 1891) Head hse, Married, attn sch- No, Completed 3rd gr.Born- Poland, Naturalized. Occ: Coal miner Coal industry, income $600, other source- yes, class of worker- salary/ wage in private work. Line 54- Leonard, son age 19 (1921) Single, attn sch- no, completed H-4, born in PA. Occ; Coal miner, coal industry, class of worker, wage/salary private work. Anitionetta, age 54 of 123 Lincoln street Exeter PA, born in Poland 1882 died 10 Mar 1947, daughter of Michael Sulzinski and Pauline. She was born in Poland, former wife of Casmier Kalmonowicz. She died from Gastric Hemmorage, Chronic Myocarditis and Epilepsy. Adam Kalmanowicz, son of Antionetta of Exter PA was reported missing over the Alantic Ocean, after leaving Mitchel Fleid in NY on patrol duty over the Altantic, as reported by the War Dept. His plane was not seen or heard from since then. LT Kalmanowicz had recently earned his wings. Adam was commissioned a 2nd LT in Albany GA, following recent exercises there and earned his wings and became a navigator in the US Army Air Corps. He graduated from Exeter HS and Penn State and earned his degree. Before enlisting in the army, adam worked for the US Forest service in Petersham Mass. Line- 46 KALMONOWICZ, Antonette, Head Hse, age 55, Widow. Attn sch- No, Gr-0, born in poland, Citizenship- AL, lived in same house 1935. Line- 48 Charles, Son, age 24 (1916) Single- Attn sch- no, complete Gr, H-4, born in PA, Occ: Salesman Retail grocery store $1040. Line- 50 Edith, Daug, age 20 ( 1919) Single, attn sch- no, Completed Gr 8, Occ: Coneing Silk Mill $ 300. Line 49- Annie, Wife age 30 (1890) Married, immig 1908, Naturalized- AL, Read & Write- No, born poland, parents Poland, speaks polish. Line 51- Annie, daug age 8 (1912) Single, attn sch- yes, boen in PA.
Line 55- SULZINSKI, Micheal, head hse, owns home, age 47 (1843) immig 1908, Naturalized- AL. Occ: street cleaner bourough. Line- 46- KALMANOWICZ, Charles Head Hse, age 47 ( 1883), Married Rents home, value $20. Age at first marriage 25, born in Poland, parents born in Poland, speaks Polish, Immig 1905- Naturalized- Yes. Occ: Miner, Coal industry, Unemployed. Line 47- Antionetta, Wife age 40 (1890), Married, age at first marriage 19, born in Poland, parents Poland, sp polish, immg 1905, Naturalized- AL, Speaks english. Line- 48 Anthony, Son, age 20 (1910), Single, Attn sch no, born PA, parents bor in Poland, speaks polish. Occ: Manager grocery store. Line- 50 Charles, Son, age 15 (1915) Single, Attn sch- yes, born PA, parents Bornn Poland. Line- 51- Adam, son age 13 (1917) Single, born in PA, attn sch yes- read & write ye, parents born in Poland, speaks polish.